Will silver outperform gold? In part two of this series, INN explores why many insiders believe that silver is now prime to outperform the yellow metal. Inflation is also a major player in terms of what sustains the US dollar and devalues gold. Inflation is generally a sign of economic growth, and when the economy grows, it’s common for the US Federal Reserve to expand money supply. An extended monetary supply makes it more expensive to buy assets that are a perceived store of value, such as gold. Another important factor that could see silver potentially outperforming gold is the white metal’s low cost and its recent spike in demand for industrial uses. 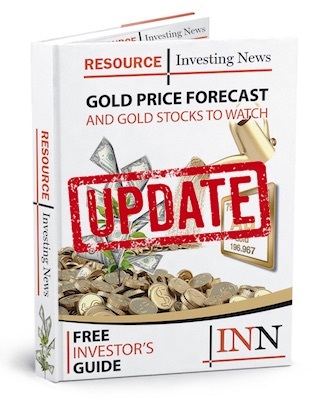 “The relatively inexpensive price of silver to gold now should support demand,” Angela Bouzanis, senior economist at FocusEconomics, told INN. While the results may be modest at first, they remain advantageous for silver. “Fabrication demand continues to be solid, driven by solar and the electrical components and also some other pockets of the market are showing modest but positive growth,” explained Johann Wiebe, lead metals analyst at Thomson Reuters. As a final look at how silver could find itself doing better than gold, one INN regular predicts big things. “But if you compound your money at 20 percent, you could make a fortune over a few years, really. I think that’s the type of environment that we’re in right now, barring any unforeseen … I hate to say it, worse scenario or geopolitical upheaval,” he added. Do you believe that silver will outperform gold in 2018, or even the next five years? Take our survey and let us know what you think. Will silver outperform gold in 2018?